The Club Concert series features refinements aimed at permanent installations with an elastomeric spray coating that easily fits any dŽcor, is very tough, and readily paintable to match surroundings. The steel grilles are foam-lined with acoustically transparent material to provide a more subdued appearance. Assembled by hand in the US by skilled technicians, each cabinet is designed for better low-end response and includes heavy steel handles and sturdy pole sockets to make moving and positioning easy. The custom drivers from Eminence feature high-strength curvilinear cones and Kapton® voice coil formers, plus oxygen-free copper voice coils and oversize strontium ferrite magnets to provide high power handling and long life. 15″ and 18″ drivers use cast aluminum frames to support the massive magnet structure, eliminate flex, and dissipate heat. The titanium diaphragm compression driver is mated to a 90 degree x 40 degree custom-designed horn. Internal electronics feature an over-built crossover network and overload protection. Connections are dual Neutrik Speakon® and 1/4″ jacks. With professional features, excellent sonic performance, and great value, Club Concert Series loudspeakers deliver premium quality night after night. 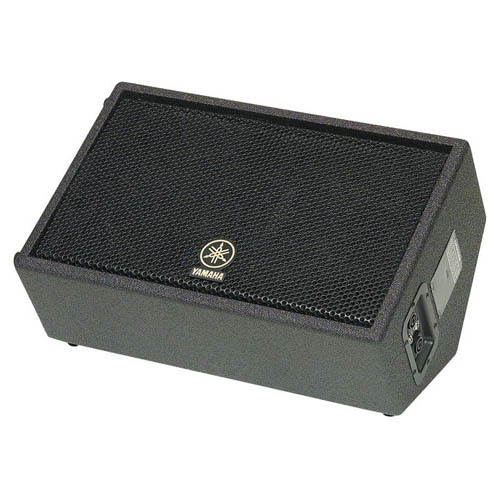 The CM10V 2-way monitor features a 10″ woofer, 1″ phenolic tweeter, 70Hz-20kHz frequency response, 150/500W power handling (program and peak) and 96dB sensitivity. 22″W x 14″H x 11″D. 27 lbs.